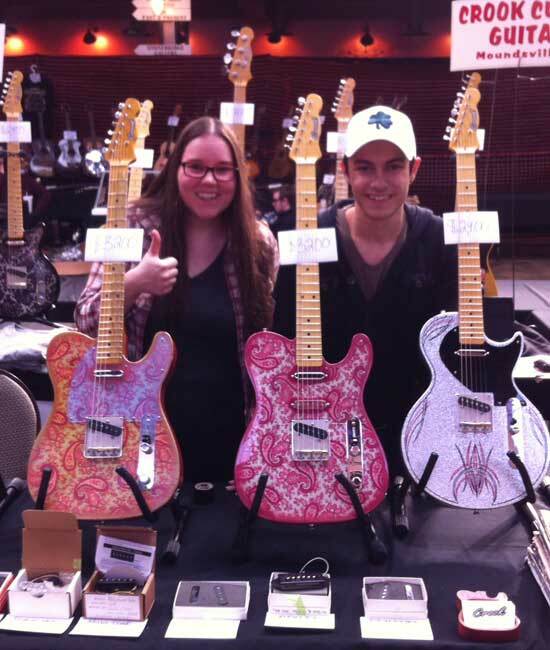 Just wanted to let you know I will be at the Nashville Guitar show March 14-15. I had such a good time meeting everyone last year I decided to do it again. I will have a large selection of guitars to check out, including some new models, pickup combinations, and colors as well as some old favorites. It will be the largest selection of my guitars under one roof (unless you go to Brad’s house). So stop by say hi, check out some guitars and take one home if you find one you like. I look forward to seeing everyone at the show.